Whether you already have a website for your business, or are looking to have one built, our staff can help you! WebVantage Marketing specializes in building as well as redesigning websites for speed, conversions, and optimized search engine rankings. If you are looking to have a new website built, our developers are experts at taking your ideas and creating an amazing website that fits your needs. Feel confident that your website will be build properly from the ground up with On Page Search Engine Optimization (SEO) being optimized at every step. To assist with Off Site SEO, our Social Media Optimization group can integrate various social signals into your new website. By adding social signals such as like, tweet, and Google+ buttons directly to your website, you can benefit from social media traffic generated by your customers. Our web developers alongside of our SEO experts can help build you a fully optimized website and provide you information on how to build engagement from your customers. 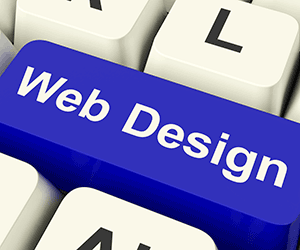 If you already have a website and would like some assistance in improving it, our web designers can help you as well. Our developers specialize in reviewing websites for any errors, or issues that may negatively impact your websites ability to rank in the search engines. Our team can also work with your existing site to see if things such as load time can be improved by either using caching features or providing you with assistance in tuning your web server for optimal performance. Our developers have access to a wide range of tools that can help your existing site perform better. In addition to web design, we have a specialized group that focuses on lead and conversion optimization. When working with our lead and conversion specialists, we offer our clients access to real time analytics. Are you interested in seeing what visitors are doing on your website? Our software can record where your visitors are clicking on your site which we can use to analyze and make changes. Knowing what is and what is not working on your website is key to generating conversions and leads. By seeing what your visitors are doing, you can easily make changes to your site and see if things improve or get worse. Our developers can also assist you with creating different layouts for your website. With multiple layouts, you can easily rotate them either with a Pay Per Click campaign that our Search Engine Marketing group can manage. If you are already getting a good amount of traffic, we can also utilize custom rotation scripts to test the different layouts in real time to see which one performs better. Our unique analytic software provides information on how much traffic you are getting, real-time recordings of your traffic interacting with your site, as well as detailed heat maps which show where a majority of your traffic is clicking on your website. Our skilled staff are ready to assist you with your website. Take a look at the following video to see how we can help you today!